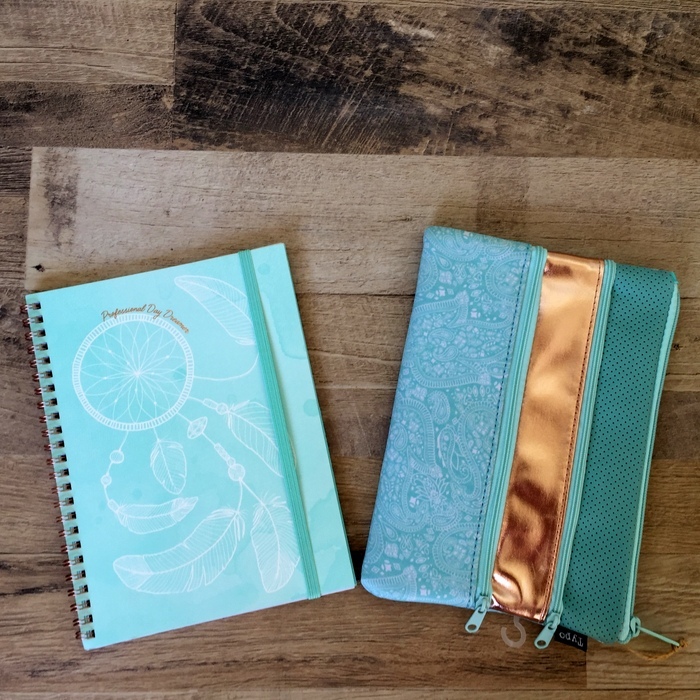 I read on Sarah’s blog where she said she wished we could have an International Planning Holiday where we would all take out our new diaries, transfer information and get all transitioned out of the old and into the new one. Well, I was agreeing with her as I read and then I realised… I already do this! My international planning holiday is not on a specific day, but does fall within a specific week of the year – the week between Christmas and New Year. I love this week and have referred to it in the past as the best time of the year. I choose a day during that week (26 – 31 December) where I do not have any socials planned because there’s nothing worse than feeling rushed. It’s usually on the 27th or 28th, but has been as late as the first week of January some years. 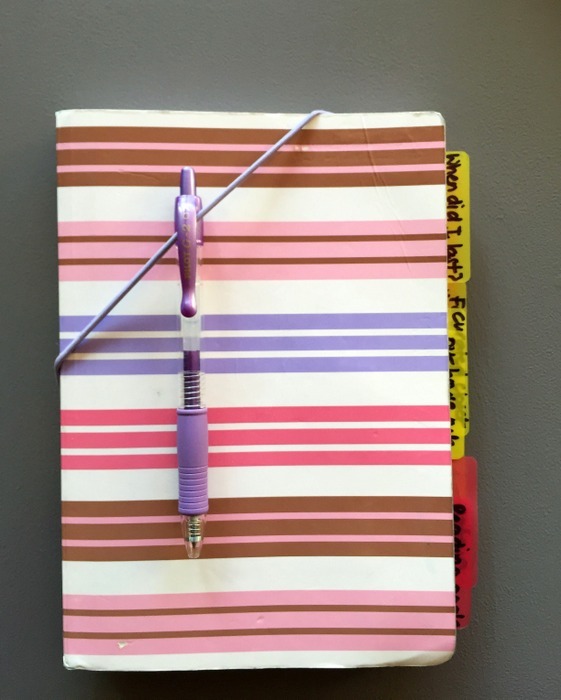 I ensure that I have a good block of 2 – 3 hours to work on my diary. I have, in the past, gone to a coffee shop to do this planning work uninterrupted. 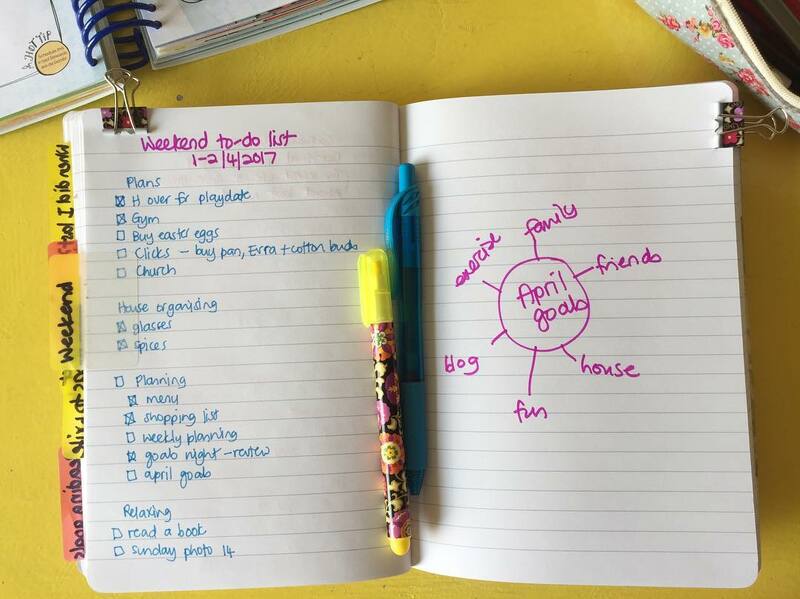 I make sure I have all my gel pens and highlighters handy, as well as post-it notes (the proper stuff, not the cheap sticky notes) and washi tape. I write all the important dates in my new diary, and transfer in any other important information, like passwords. Don’t judge – it works for me. I write in all the school terms, both in my monthly view, and during the actual weeks. I get January all set up with scheduled dates, friend plans, etc. 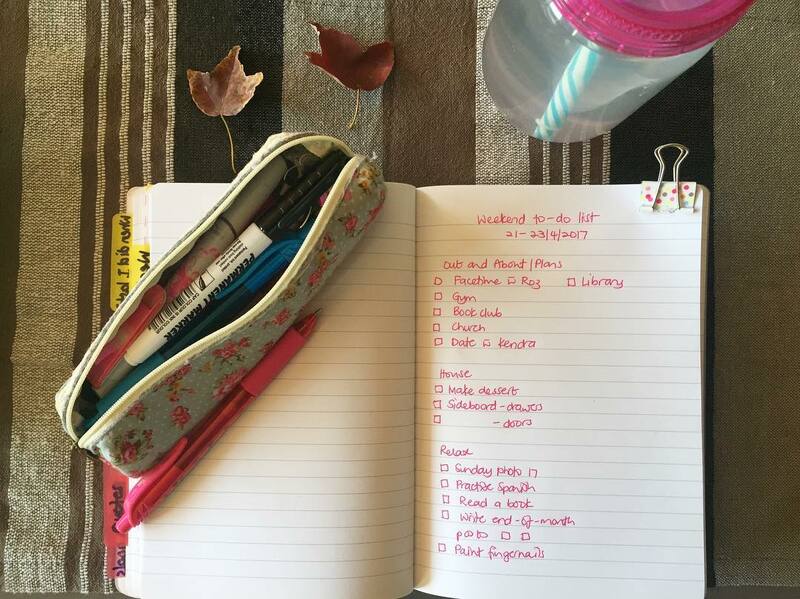 Lastly, I move some lists to my new bullet journal (like life admin, blog post ideas, etc.) or the notepaper in my diary, if there is notepaper, like the years I’ve bought an 18-month diary, but only started during the actual calendar year. I may not have set goals by this time, or chosen my word of the year, but I do think it’s important (for me, anyway) to at least feel somewhat in control by having the week-to-week aspect of my life set up. Do you declare a day for annual planning? Why don’t you block out the two hours right now to prepare your 2019 diary? A few months ago I decided to make a list of all the podcasts I listened to during that week. I didn’t choose a particular week; it was simply a random week without any forethought. I could have listened to 1 long fiction book or 1.5 non-fiction books. I worked from home 3 days that week and about 3 hours a day is not unreasonable. I also listen to podcasts while tidying and organizing on the weekend. Hmmm. What would happen if I tried some new things? This is fascinating because I’m both the subject of the study and the scientist. I also have a phone storage problem because I only have a 16 GB iPhone which means I have to delete photos off my phone twice a month. I actually don’t mind this because it keeps me in a good photo routine. I also have to be diligent to only download one audio book at a time and only my subscribed podcasts. Do you know what I decided as a result of all this thinking? I unsubscribed from all but two podcasts. No prizes if you guessed one of those podcasts is Happier with Gretchen Rubin. The other is the 5-word prayers daily with Lisa Whittle. The other podcasts are still there but they’re below the subscription fold so I see them update but I only consciously download an episode when I’m ready to listen. 3) if I don’t feel excitement about the episode, I don’t even download it. Before, the episodes would drop automatically and I’d feel almost compelled to listen immediately because of the aforementioned storage issue. 4) I’ve also listened to lot more audio books! 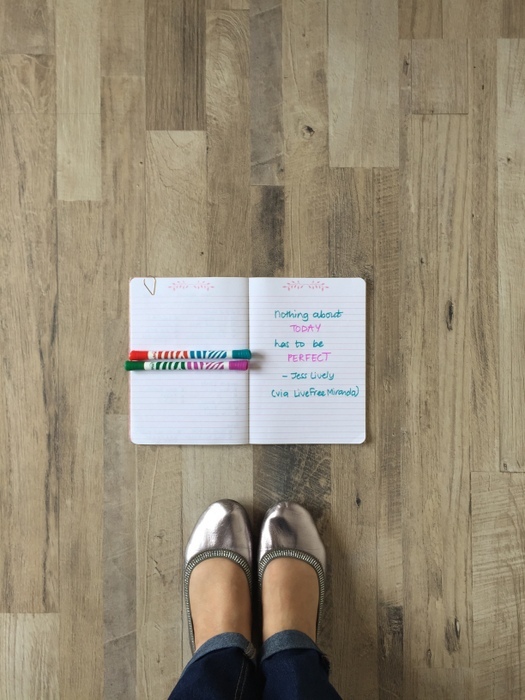 Yes, this post is about me listening to podcasts but it’s really about tracking behavior and making changes to align to your goals. 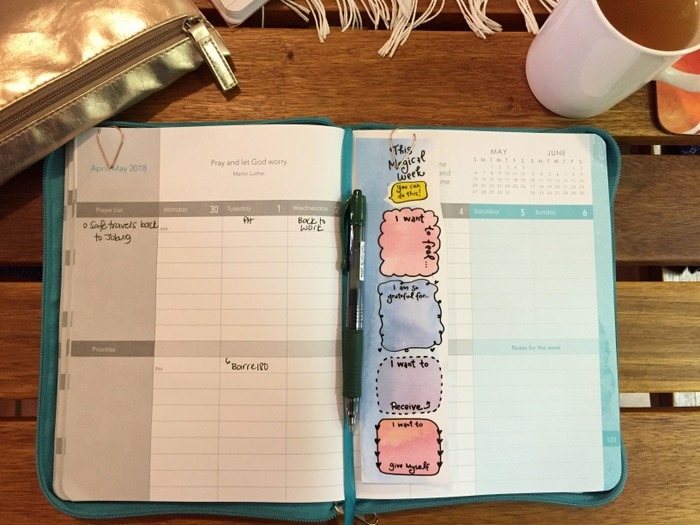 Have you ever tracked your time for a day or week? You’ll be surprised how much time you spend doing mindless tasks. Is there something niggling at you? perhaps you spend too much time on Facebook or Instagram? I’m on my third bullet journal for the year, my sixth overall. 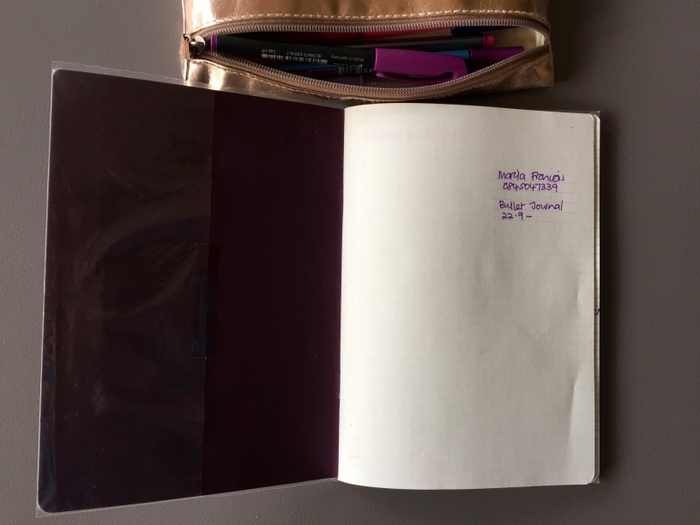 For this year, I’ve had a lined one, a dot grid one and then I was undecided between another lined one (a pretty purple one) or a grid notebook. I decided to go with the grid notebook because I wanted to try all the versions of notebook (last year I used lined paper for two of them and then a blank notebook) paper so I could see what worked best…for me. I’m loving this grid notebook. 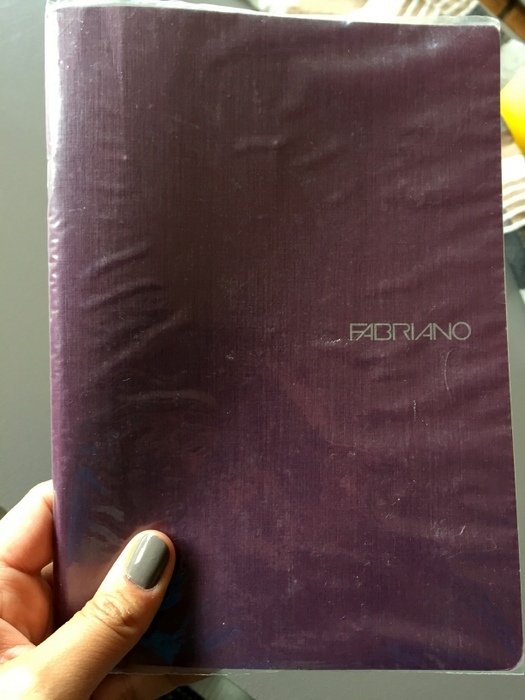 It’s a Fabriano A5 grid notebook – made in Italy. South Africans, I bought it at Exclusives for R23. Yes, you read that correctly. 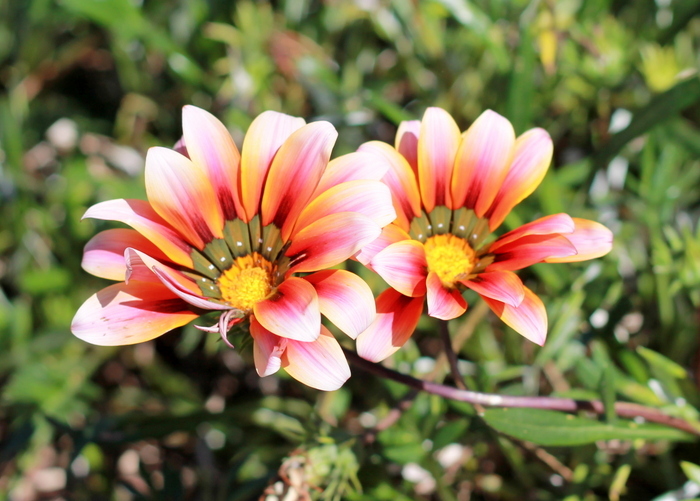 They come in gorgeous, bright colours for such a great price. They had a spiral bound version about twice the thickness (and double the price – I think R48? ), but since this one is travelling in my handbag on a daily basis, I didn’t want the spirals to get messed up, and I definitely want to finish using it by the end of December. I’m using my Staedtler triplus fineliners and the only Schneider Topliner I own because the paper is a nice firm 80g/sm that can hold these fineliners. I think a combination of the pen plus the grid makes my handwriting look neater. Also, I love making little blocks of exactly one grid next to my to-do list items. There is possibly only one thing that could be better, and that is to have a non-scuffable cover. I’ve wrapped it in plastic to protect it. 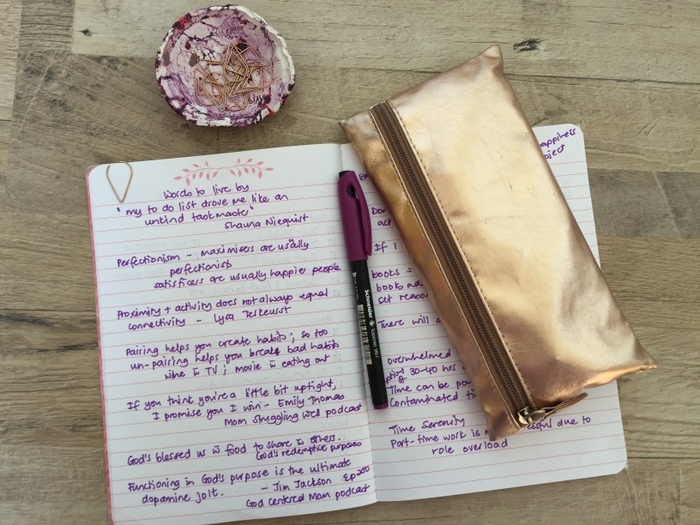 What should you consider in a bullet journal? This year I have three diaries/ notebooks going. I know what you’re thinking and I agree, three is probably too many but I’ll explain the intricacies below. 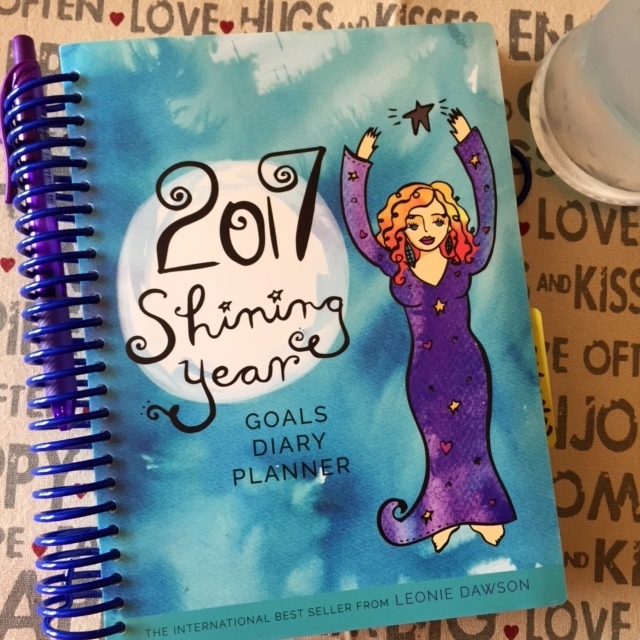 I use the shining planner to review the month that’s just passed, and to set goals for the month ahead. It has a really thorough review and intention-based process. I use one of the pages not as it’s intended because I just do a list of all my goals for the month on that page. 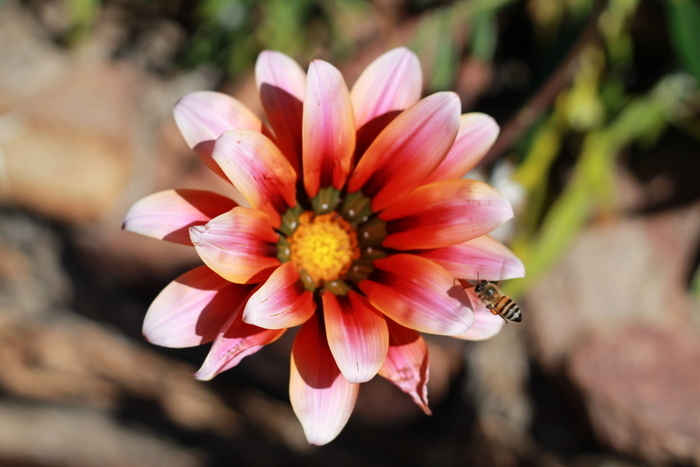 And your top 3 priorities – personal and work – for the week. For the rest of the week, I put in anything that has a scheduled time but that’s it. —>>> Goals for the month, setting intentions for the week and top 3 work and personal for the week. These top 3’s are usually taken from my goals for the month, or something urgent that’s come up, like a geyser thing we had a few weeks ago. This planner stays on my desk at home because it’s too bulky to carry around with me. This is my preferred diary format – a weekly horizontal down the left and on the right, lined paper for my lists. The right side is for my personal and blog goals. Beth and I chat every Thursday night and set goals for the week ahead. So on a Thursday night of one week (say, 5 October) I write things down on the next week’s page (week starting Monday 9th October). Meanwhile, I still complete (mostly!) the current list for the rest of this week. If this is confusing, sorry about that. It makes complete sense to me because I’m just “pausing” the current week for 30 minutes to think about next week, without actually starting next week until it arrives. Make sense? 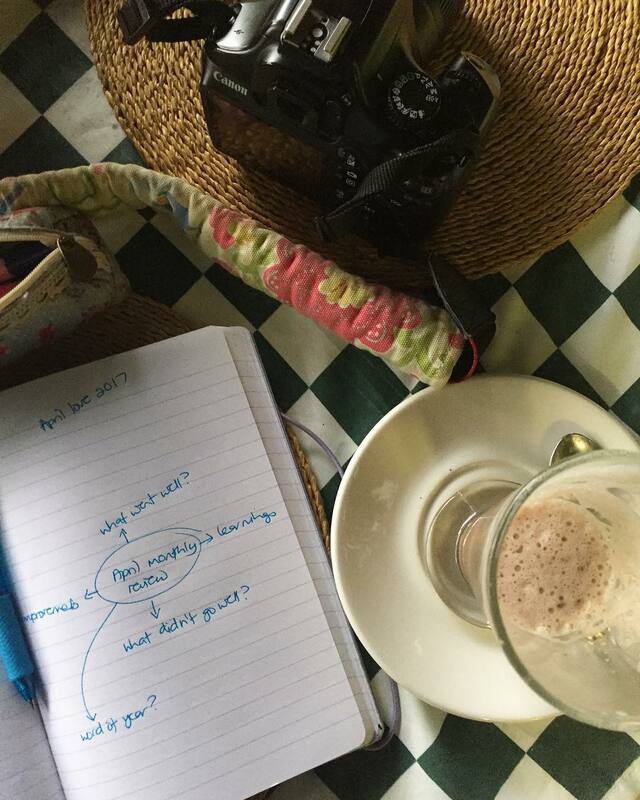 I usually put no more than 4 – 5 personal and 3 blog goals for the week ahead. These are all from my monthly goals. Sometimes they’re carried forward from previous weeks – it’s all okay. If other things crop up, I can easily add it to either of the lists (I leave space) without feeling overwhelmed. Other non-goal things I add are usually appointment-making things. The only real planning that goes on here is my weekend to-do list and the daily to-do list I write when I work from home. That’s really it. If you read this post, you’ll see I mention the goals review and goal-setting here too. This is just for a quick brainstorm, key points, etc. to jog my memory. 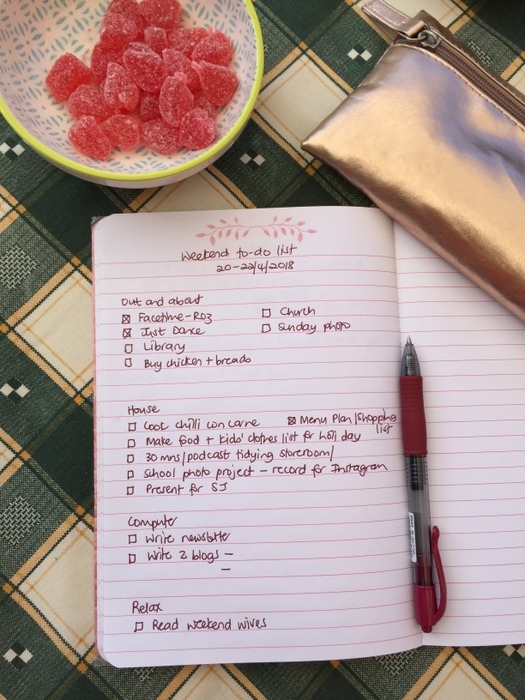 My weekend lists are my favourite things ever – I like a combination of out and about (I’m an extrovert), productivity (either in the house or on computer) and true relaxing (reading/ photos, etc). The items on my weekend list are sometimes carried over from the Moleskine (finish a book, or finish editing photos, for instance) but are mostly new things. I never put house stuff on my weekly list because I work full-time and the only time I get to potter and organise is on the weekend, unless it’s to do a quick 10-minute organising project. Then the whole thing repeats every week, and at the end of the month, on Goals Night, I do my monthly review and goal-setting. All that said, I’m already excited for next year because I decided I’m not ordering the shining planner so I’ll only have my diary (it’s looking like a Moleskine for now) and my bullet journal. Has this helped anyone? Please let me know. 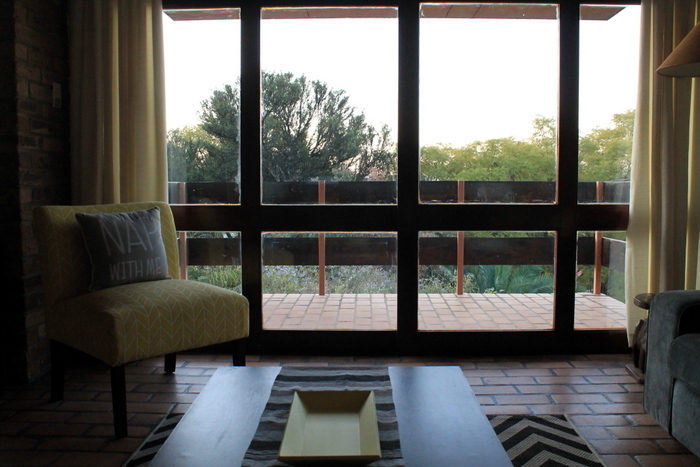 How does your planning system fit together? 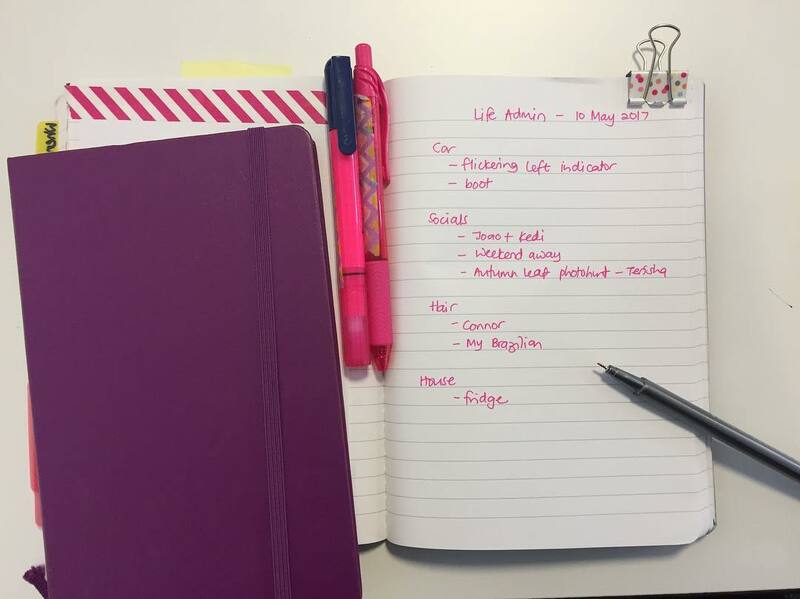 If you haven’t seen the last post on bullet journal, have a read here to find out all the pages I use for planning. This is a page I picked up from browsing the #bulletjournal hashtag on Instagram. I took a screenshot immediately and kept it on my phone for a few months before trying it. Basically, it’s to remind you of things you need to keep track of, but that don’t happen daily, weekly or even monthly. I track when I colour my hair (I should do that monthly, but I do it when I can’t stand it anymore) and when I have my Brazilian Blowwaves done. I also started tracking Connor’s haircuts. Any ideas you have for this page? Or ideas for me to use this page more? This is one of my favourite pages in my bullet journal. 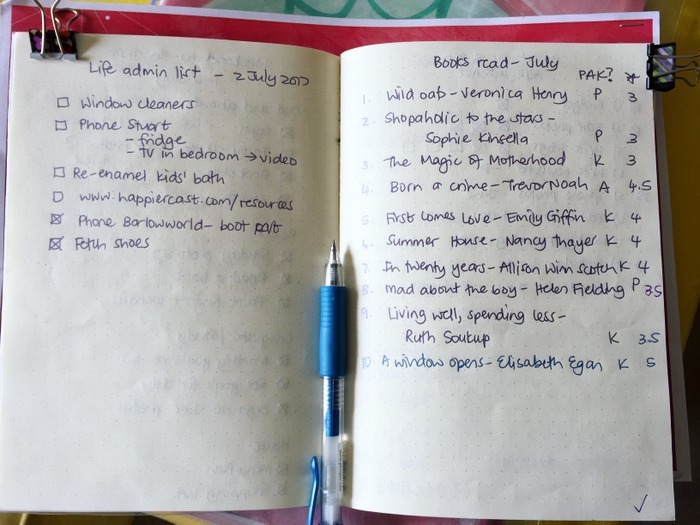 I wrote out these goals at the start of the year when I thought of how I wanted my reading life to look this year. I’m happy with the amount of reading I do but I wanted to get intentional about a few other things – books to re-read, how many Audible books, etc. So I look at my list at the end of each month and I see how I’m doing. And then, of course, I make adjustments for the month ahead. If you’re a reader, I highly recommend a reading goals list. What were/ are some of your reading goals for this year? 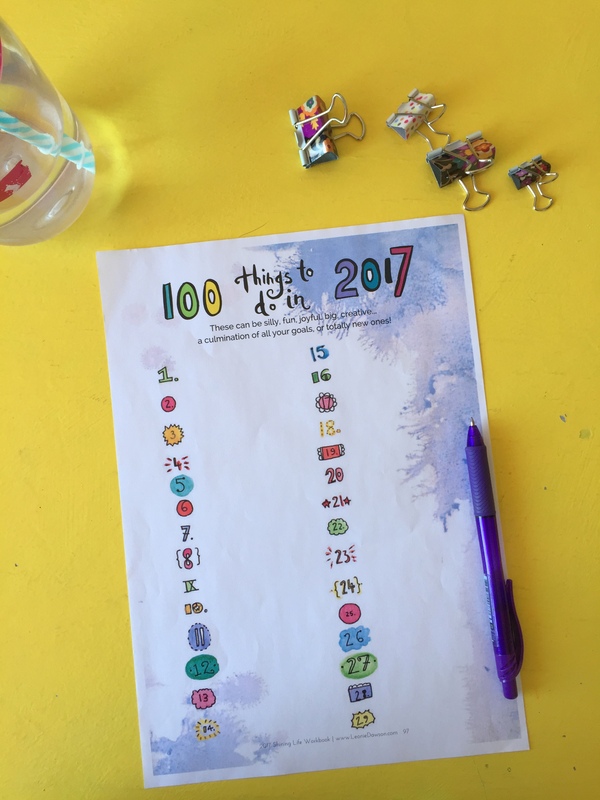 This page started as an action from my reading goals page. And then I accidentally bought a physical copy of a book I have on my Kindle, and the page morphed into one where I tick off the books I own, and I highlight them once I’ve read them. I’ve now trained myself to not buy books until I’ve checked my pages just in case I own a copy. It’s so useful. If you have a bad memory for books that kind-of sound the same, make yourself a list of your favourite authors and the books you need to read from your physical or virtual bookshelves. 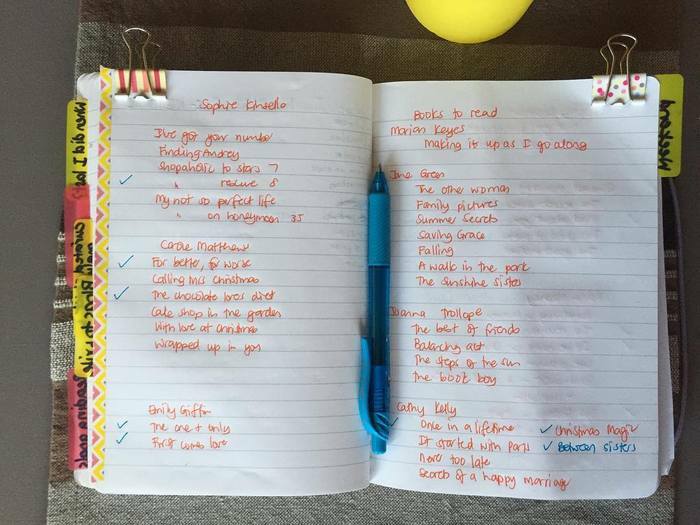 How do you keep track of the books you need to read from your favourite authors? Goodreads? 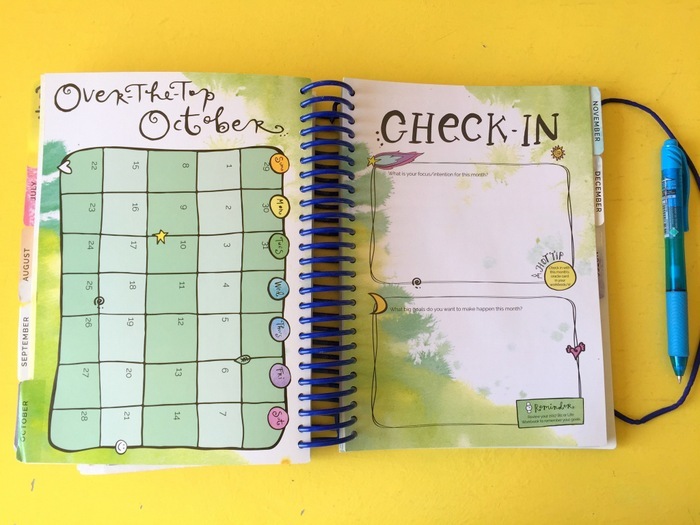 Page in your bullet journal? Notes in your phone? 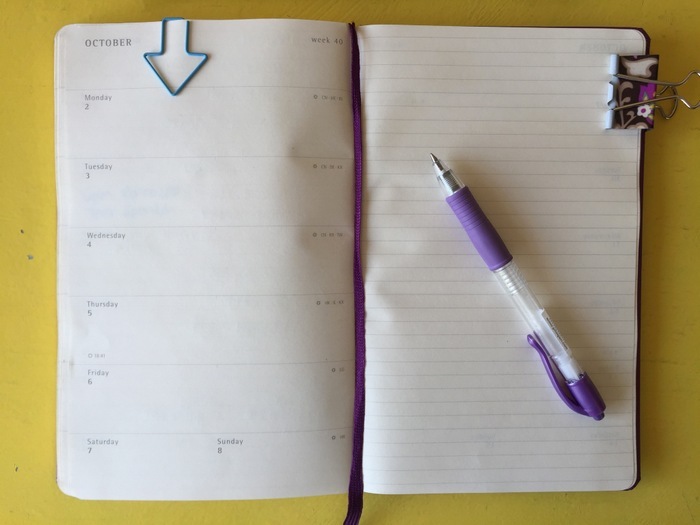 Which are some of your most useful pages in your bullet journal? Thanks again if you took the bullet journal survey. If you still want to weigh in, go right ahead – I have one more post planned besides this one, but if there are more questions left on the survey link, there might be a third post this month. 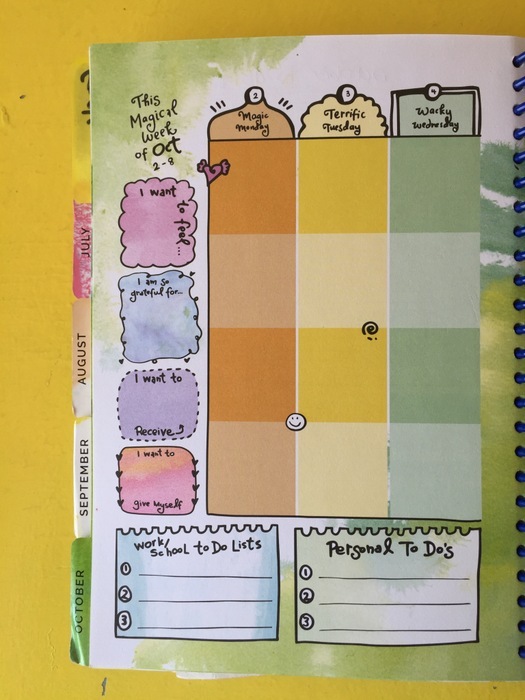 If you’ve never done a bullet journal and you want to try….but you feel intimidated by the fancy ones you see on Instagram (clearly not mine! ), I’d say if you do nothing else but a few standard pages, your life will feel at least ten times more organised. Do you think in terms of daily or weekly planning? Do you prefer to get things done during the week or on the weekend? 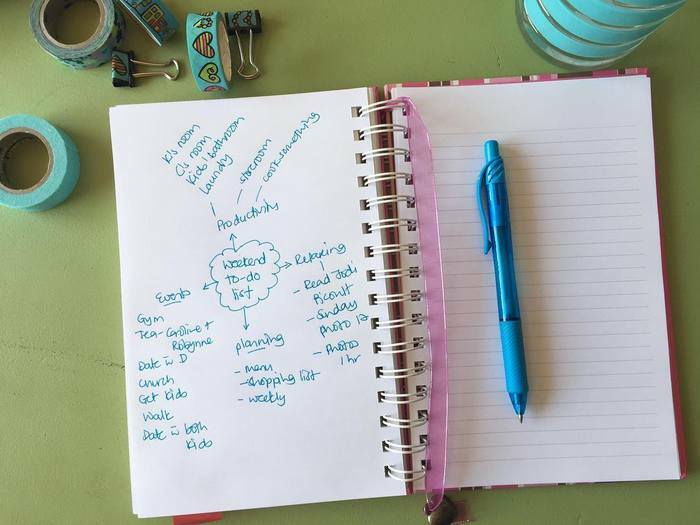 If you’re like me and you think of getting your stuff done over the course of a week, then you’ll do weekly planning. I actually still recommend this option to most people because it takes off the pressure from achieving something every day. I personally don’t mind if I have a day or two of slothfullness because I know I have 7 days to get things done; not only 1. However, if you like to get a few things done daily, and you won’t beat yourself up about a few days of non-achievement here and there, then by all means, do a daily to-do list. 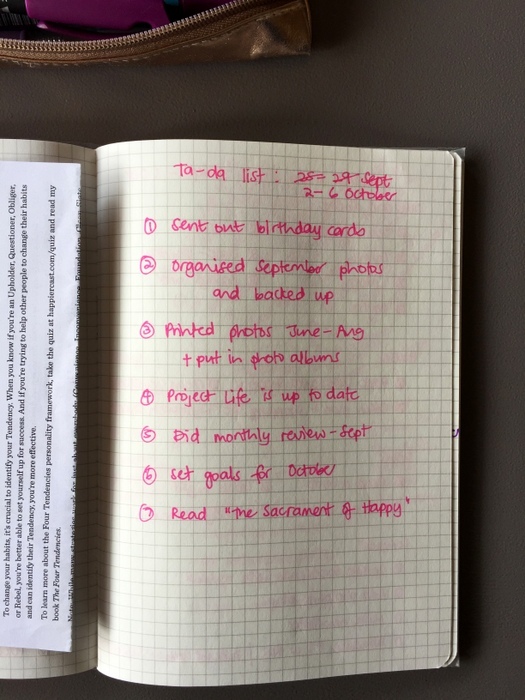 To sum up, these are the pages I suggest you pick from for your basic bullet journalling. Keep it simple to 10 or so items. I think in categories so I have socials, family, fun, health, house. 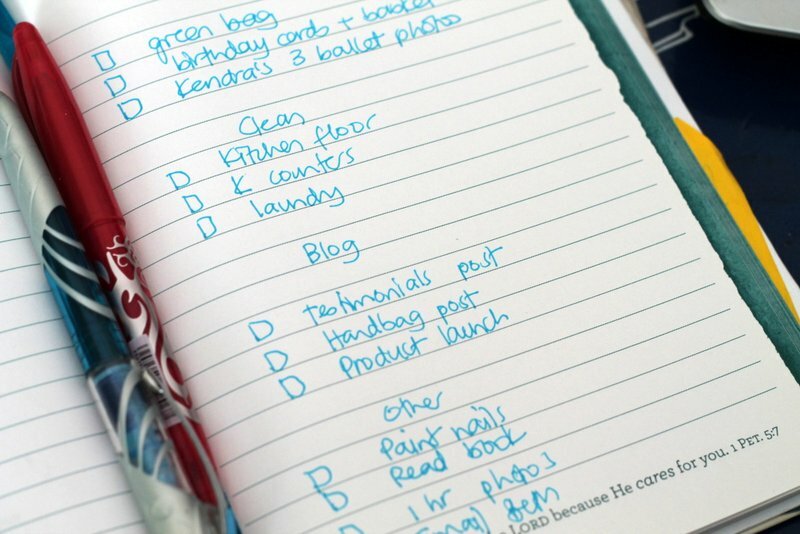 This is a master to-do list and has all those things you currently need to take care of – hair appointments, car stuff, electrician, and so on. 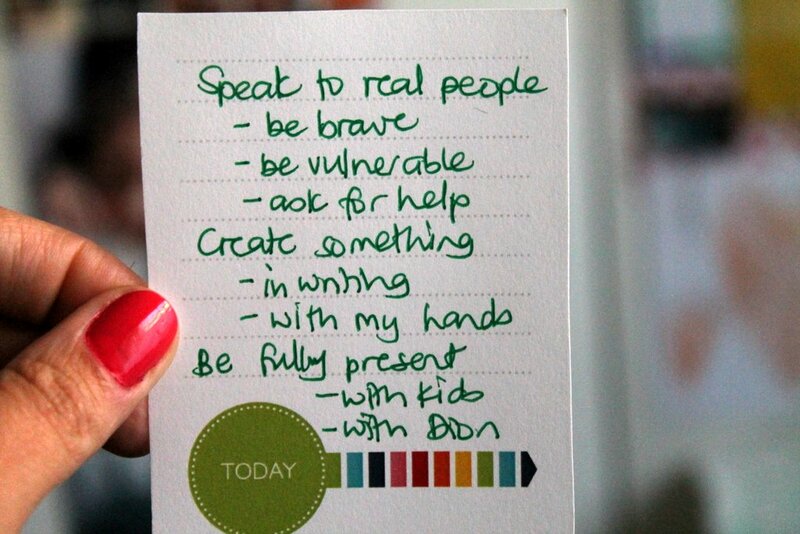 You could incorporate this into your goals for the month if you won’t get overwhelmed. I like them separate so I don’t feel drained when I look at my goals list. This is still my favourite list. I make one every Friday evening and as I’ve written before, it has to have 3 categories. Please click that link so you can see a real person’s to-do list. 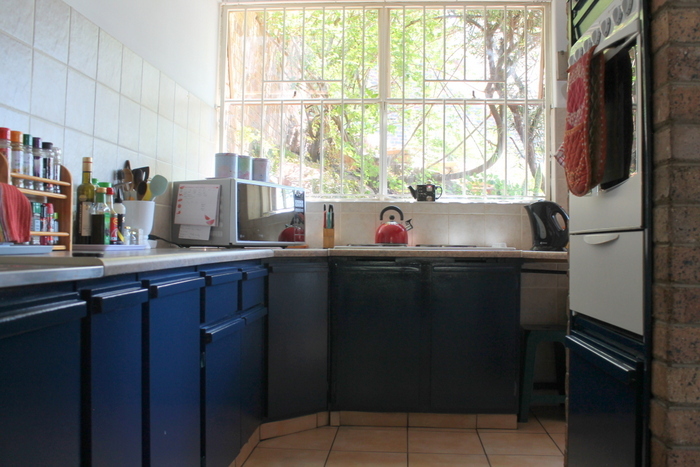 It is not Pinterest perfect because it is a tool to get things done. Fun fact – way back when (Dion and I have been married 22 years and we’re both strong J’s, and upholders, so we love planning), D and I used to make a little list every Friday evening on the back of a used envelope. I think I was too poor to buy cute (unnecessary) stationery back then. I cut out on my commute (a whole two glorious hours) when I work from home so I can either get more work done which is the case most of the time and especially the last 3 – 4 months, but at other times, I keep a list of things to do around the house during my breaks. I usually have about 6 tasks that are all super quick things to get done. Either that or I get some errands done. If I don’t have a list, I find that it’s easy to simply scroll instagram instead of being productive. 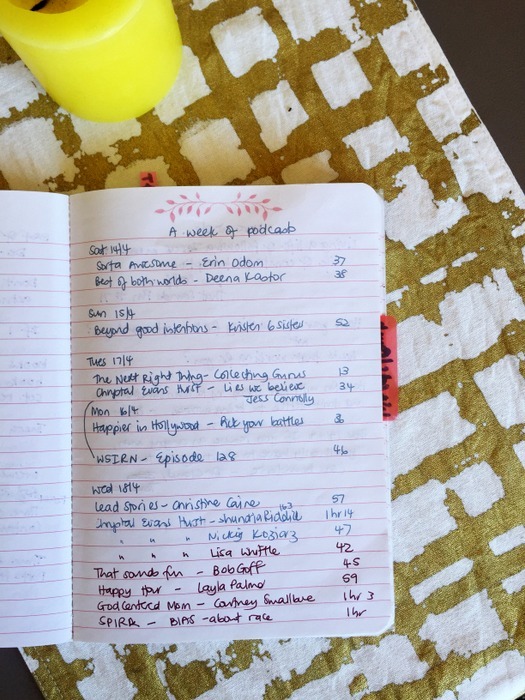 I make my weekly list (because I do weekly planning) in my Moleskine planner. You can see the specific style of diary I prefer to use in the pictures on this post. Beth and I chat every Thursday evening so that’s when I do my weekly planning for the week running Thursday to Wednesday. I attach no schedule to these things at all unless they’re time-based activities, like my weekly flamenco dance class or book club. Basically, I glance at the list every two days or so and do them when they suit how busy my day is, or not. For your own planning purposes, which of the pages mentioned above would suit your lifestyle? Ultimately, I decided to try out a dot grid notebook since I have used blank and lined paper before. So I went with the one at the bottom of this stack. So how am I feeling about my bullet journal choice, 3 weeks in? I feel zero perfectionism about writing in this notebook. I’m not sure if that’s because there are another two waiting for me or because it’s a smaller page with rougher paper so it feels like it lends itself more toward scribbles. I love the rougher paper because it “soaks up” my gel pens. Yum! I’ve had to cover my notebook with plastic because I don’t want stains or moisture on the cardstock cover. What type of paper do you most enjoy in a notebook? 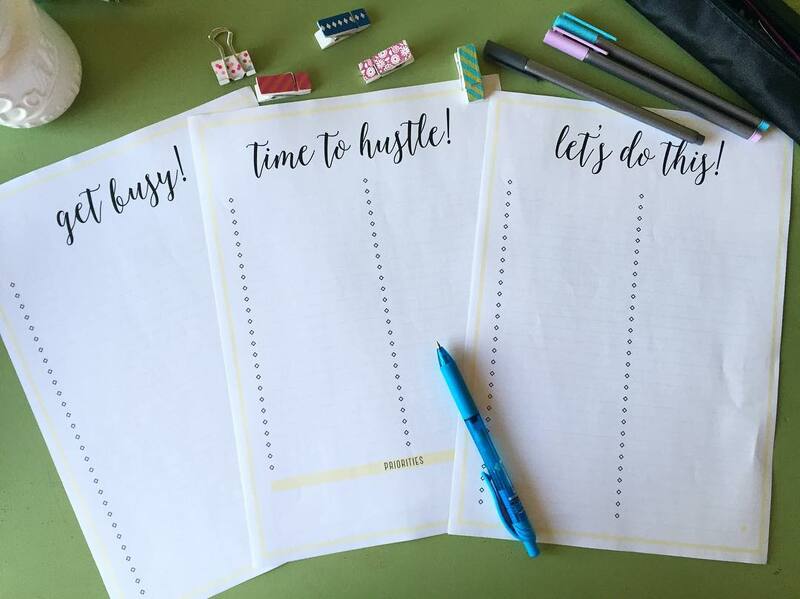 Lined, dot grid, grid or blank paper? 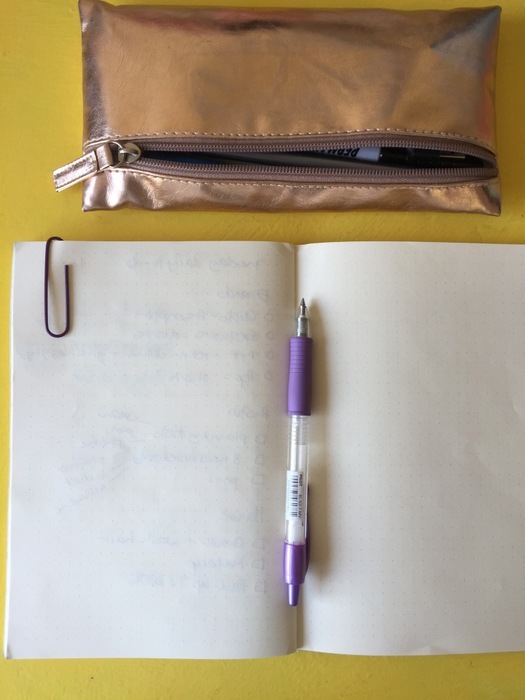 Did you start a new bullet journal at the start of the year? Are you still using the same one? PS I used 3 bullet journals over the course of last year, but I only started in March 2016.